Problem with Slack Pizza Dough? Buy Wholesale Pizza Dough! Making your own pizza dough can be a rewarding experience – if it turns out perfectly every time. But the chances of that happening, especially when you’re a restaurant churning out dozens (or even hundreds) of pizzas every day, are very slim. One of the biggest problems in making dough is that it often ends up with too much slack. But what is slack in your dough? And how can you prevent it? When dough of any kind has too much slack in it, the dough is too moist. When that happens, the only real solution is to add more flour to absorb the excess; but this too results in yet another problem. The dough will be too dry and won’t have any elasticity or stretch in it. It also won’t spring back, as dough typically does, and this is a big problem, especially when you’re making pizza. That’s because that springiness comes from the air that’s in the dough. When you add more flour, you inevitably have to knead that extra flour in; and that additional kneading takes all that air out of the dough – leaving you with a cardboard-like crust on your pizza. Order wholesale pizza dough! When you order your dough from us here at DeIorios, you can be sure that it will be fresh, soft, and beautiful every time. It’s easy to work with, and you and your customers will agree that it tastes great. 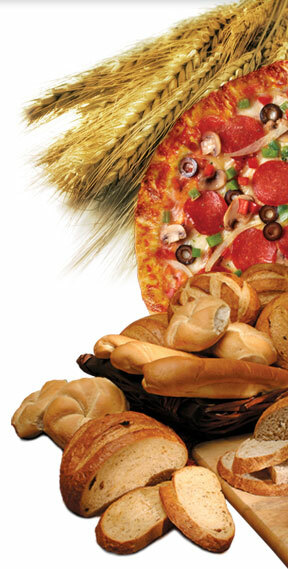 Plus, we also have many different kinds, including Italian and New York style pizza dough. So you not only have great dough, but you also have many more options with what to do with it! Making your own dough can be rewarding. But only if it turns out perfectly every time, and only if you have the time for it. When that’s not the case, give us a call here at DeIorios!